Do Solo Moms by Choice Have a Right to Ever Complain? You made your bed, you lie in it. It’s a common saying that essentially warns us not to complain about the circumstances we’ve created for ourselves. And it sounds sensible enough, most of the time. But when it comes to solo parenting by choice, it can sound a little cruel. 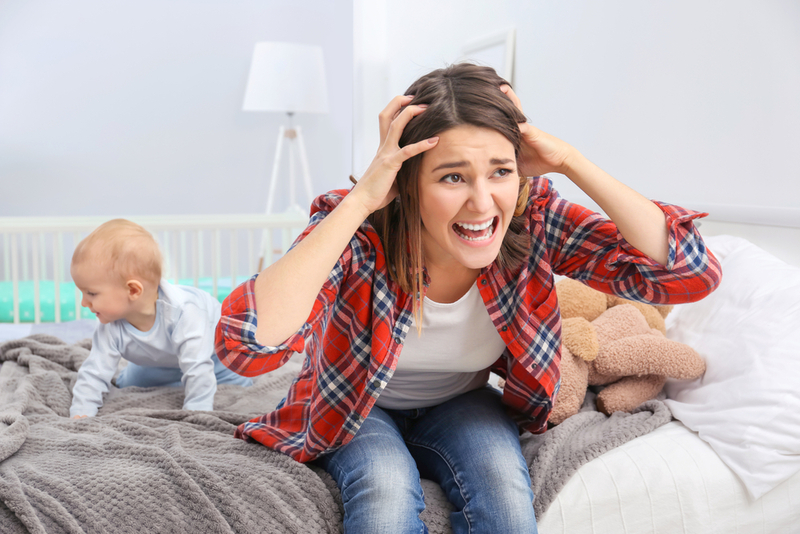 While other moms—those coupled up and those “solo by accident”—can confess to being tired or bored or even to just not liking their kids at the moment, Solo Moms by choice often feel a pressure to have it all under control, all the time. Might an occasional complaint suggest we regret our choice? That we’re not up to the task? As if our lives weren’t hard enough, must we also strive to make it all look easy? Here’s the thing: you’re still human. So lighten up, and consider some reasons why you can and should let the challenging parts of parenting show—at least on occasion. 1. You’re really not that different from every other parent. At least not when it comes to the “by choice” part. While some come to parenthood accidentally, and many choose to parent with a partner, in the end, all of us are in the same big boat, actively choosing to parent rather than turning away from it. Often it’s a rocky boat, but most rational people will understand that expressing fatigue or exasperation from time to time in no way suggests you’re not up for the job. It just means you’re part of the club. 2. Most worthwhile things in life are hard. The idea that complaining reveals incompetence is common, but when you think about it, you see it is also flawed. We might complain about the hours put in at work or how much we ache after a workout, but we know that these are worthy pursuits. Starting a business is hard, sticking to a diet is hard, even travel is hard when we forget about the destination. Parenting is harder than all those things. It’s not hard because you’re a Solo Mom (though that probably makes it harder). It’s hard because it’s a big 24/7 job. The only parent who could judge you for complaining would have to be the parent who has never complained. 3. All parents need more support. What are you complaining about anyway? A lack of affordable child care? Limited flexibility at work? No family in town? Behavioral problems? Well, you’re in good company. Chances are that although your Solo Mom status might magnify your struggles, your specific challenges are the same ones that most parents grapple with, and many of those challenges—such as unaffordable child care—are issues that need to be amplified. 4. Sharing struggles can foster bonding. There’s a reason new-mommy playgroups are so popular, and it has more to do with the mothers’ needs than those of the children. Parents at all stages need a community wherein they can compare notes and commiserate about everything from potty training to college applications. None of us has all the answers, but unless you are willing to share your own struggles, you may miss out on a lot of good friendships . . . and some good parenting tips. 5. The research is on your side. While terms such as single parent and broken home are sometimes used to suggest a chaotic environment for raising children, research shows that Solo Moms by choice who carefully considered their decision are well equipped for the challenges of parenthood. In other words, your critics probably don’t know what they’re talking about. 6. You don’t have the time to strive for perfection. Quite simply, energy devoted to making it look easy, or to worrying what other people think, is energy wasted. You have enough on your plate as it is. You know you are devoted to your children, and you know that you still get overwhelmed. That’s life. But it’s best to spend whatever downtime you have on yourself, rather than on what other people might think. 7. Haters gonna hate. Speaking of what other people think, the bottom line is that there are always going to be people who disapprove of your decision or just assume you’re not up for the job. And those people will continue to think that way, no matter how many balancing acts you perform for them. Cut your losses, and find a tribe that doesn’t demand perfection as a price of entry. Need any more reasons? Well, consider that you do have a hard job, and there are going to be days when you’d have to be superhuman not to complain. Those days, when the tasks at hand exceed your waking hours, a little complaining can even be a good thing. It can feel good to vent, on occasion, and who knows? Maybe someone will hear your call for help and reach out. No man, or woman, is an island. Need someone to vent with? Our community of Solo Moms is a great place to find support and inspiration.